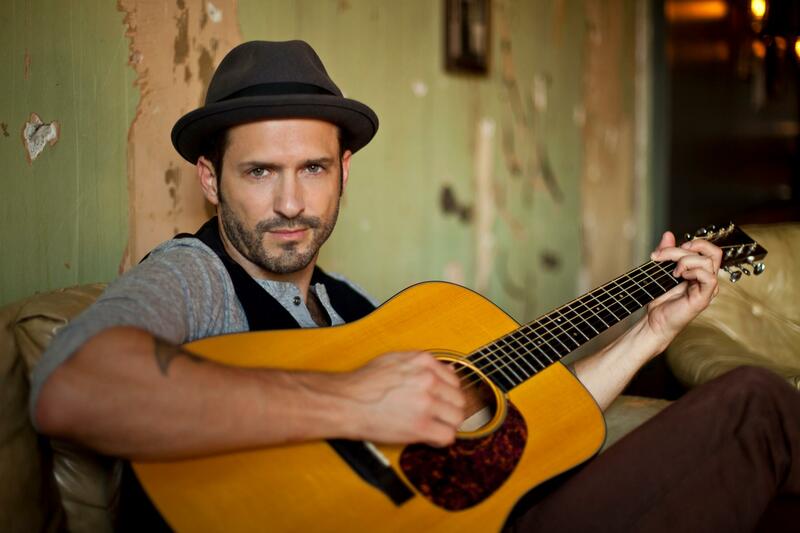 Tony Lucca was in concert on Wednesday night at the Verizon Wireless Amphitheatre in Charlotte, NC. Lucca opened the Honda Civic Tour, headlined by Kelly Clarkson and Maroon 5. Lucca started out on the “Mickey Mouse Club” and later was the second runner-up on the second season of the “The Voice.” He is currently signed to Adam Levine’s, and lead singer of Maroon 5 and ‘Voice’ judge, record label, 222 Records. The stage setup was simple, while he was accompanied by another guitarist, a bassist and a drummer. The video projector screens were black and only showed Lucca’s name in white letters with his Twitter handle (@Luccadoes) during his set. He was wearing his signature short-brimmed fedora, a black v-neck and garnet colored pants. Lucca switched over to the acoustic portion of the set with “Wasted” and “Hear Ya Say.” Lucca said that this show was his “last show on the road with his coach,” Levine. He brought his electric guitar back out for the cover of Jay Z’s, “99 Problems.” Lucca made it his own. It was a folky, funky arrangement. Lucca impressed with his 6-song set. He showed that he will have a future in this business. It’s nice to see Levine supporting ‘Voice’ contestants and signing them to his label. Look for big things out of Lucca in the future.